The bestselling The Jesus StorybookBible, written by Sally Lloyd-Jones and illustrated by Jago, is celebrating its phenomenal success with this beautiful clothbound gift edition. The Jesus Storybook Bible tells the Story beneath all the stories in the Bible. From Noah to Moses to the great King David––every story points to Jesus. He is like the missing piece in a puzzle––the piece that makes all the other pieces fit together. From the Old Testament through the New Testament, as the Story unfolds, children will pick up the clues and piece together the puzzle. A Bible like no other, The Jesus Storybook Bible invites children to join in the greatest of all adventures, to discover for themselves that Jesus is at the center of God's great story of salvation––and at the center of their story too. 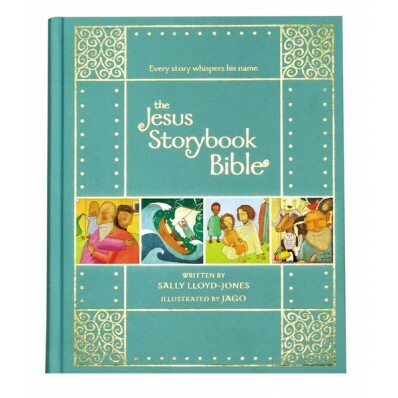 Sally Lloyd-Jones has done a beautiful job re-telling many of the Bible's stories. I am impressed that she's written them for children without a lot of sugar coating. Often, Bible stories get watered down and children don't learn about sin or why Jesus died and was raised. Sally does a nice job and leaves room for parents and teachers to give more explanation. The colorful illustrations liven up the pages. I imagine children will love the color and characterizations of the Bible people. 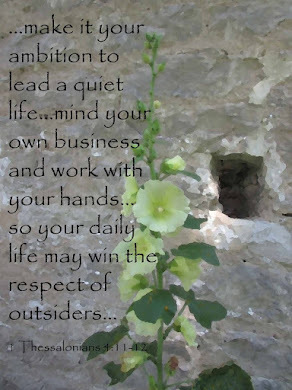 This would make a lovely gift for a child or a teacher of children. You might consider giving this book as a gift to students promoted in Sunday School or who have taken the step to accept Jesus as Savior. It would also be a great for family devotional time.